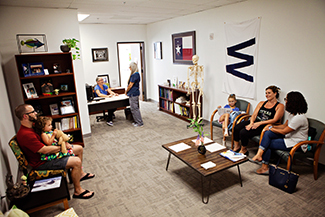 Dr. Taylor founded Taylor Sport Chiropractic in April of 2006 and has been providing the patients of Clear Lake with focused, natural and gentle chiropractic care for the past decade. It’s her mission to get people to where they want to be when it comes to their health and wellness. At Taylor Sport Chiropractic, it’s our mission to be a place of healing, recovery and injury prevention for patients of all walks of life—especially athletes and families. We want to help you get back to doing the activities you love with ease—whether that’s running a marathon or simply playing with your grandchildren. When it comes to your care, Dr. Taylor specializes in focused techniques including Graston, ART and acupuncture for safe and gentle relief. As a sports chiropractor, Dr. Taylor feels a strong passion to help athletes perform to the best of their ability and help them recovery when an injury happens. She’s proud to have an extensive knowledge of what an athlete’s body needs to function properly without drugs or surgery. No matter what level of sports you participate in, there’s something for you at Taylor Sport Chiropractic. Whether you’re a new parent seeking care for a child, a world-class athlete, or someone who just wants to feel their best, we’re here for you. Discover how amazing you can feel with natural chiropractic care. Contact us today to get started!